Fr. 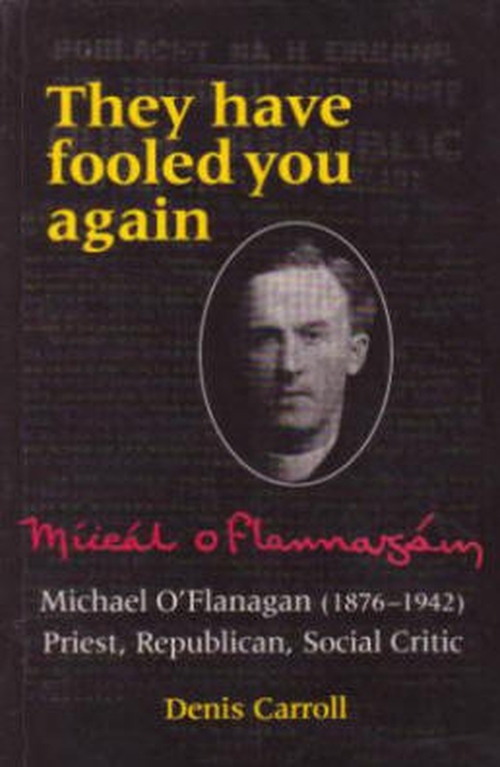 Michael O’Flanagan was born in 1876 near Castlerea, Co. Roscommon. He went to school at Cloonboniffe and then attended secondary school at Summerhill College, Sligo. On graduating in 1894 he entered St. Patrick’s College, Maynooth, where he was ordained for the Diocese of Elphin in 1900. Following ordination he returned to Summerhill College and worked there as a teacher for a number of years. Between 1912 and 1914 he served in Rome. He was appointed as curate to the parish of Ahamlish in North Sligo in 1914. Shortly afterwards he became involved in the first (of many) acts of social defiance. The incident came to be known as the "Cloonerco Bog Fight" where he agitated for turbary rights for the local people against the wishes of the Congested District Board and his own bishop. In response Fr. O’Flanagan was transferred from Cliffoney to Crossna in Co. Roscommon from where he was to play a prominent role in the War of Independence during the following years. In 1917 his eloquence was a major contributory factor in the success of Sinn Féin candidate Count Plunkett in the first election contested by the republicans, which came to be known as "the election of the snows". In the Summer of 1918 he was suspended from clerical duties because of his activities with Sinn Féin. 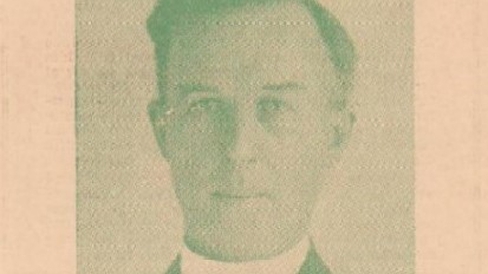 He was Vice-President of Sinn Fein from 1917 and was chosen to recite the invocation at the first meeting of the newly proclaimed Dáil Éireann in January 1919. He opposed the Anglo-Irish Treaty of 1921 but did not play a major part in the subsequent Civil War. He was president of Sinn Féin from 1933 to 1935 but he was expelled from the party for participating in a Radio Éireann (2RN) broadcast in January 1936. 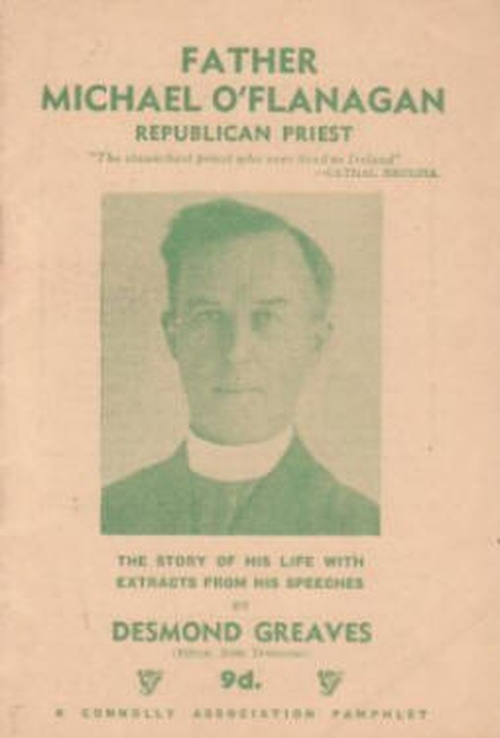 He was one of the few Catholic priests who defended the Spanish Republic during the Spanish Civil War, siding with such notable republicans as Peadar O'Donnell, George Gilmore and Frank Ryan. From 1932 he had been working on the preparation of County Histories in Irish and the first to be published was for his native Roscommon. "Stair na gCondae 1 – Ros Comáin" was published in 1938. 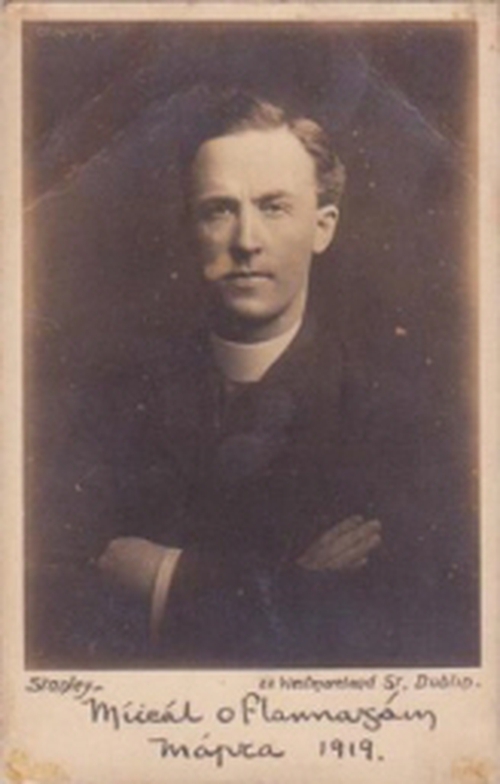 The same year he was allowed to again say Mass in public and he died in Dublin on 8th August 1942 at the age of 66. He was buried in Glasnevin Cemetery on August 10th. His graveside oration was given by "Sceilg"